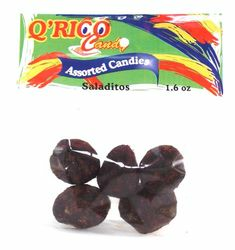 The Salted Apricots with Chili by Que Rico are salty Mexican plums with chile, also called Saladitos and in mandarin 杏子 or Xìngzi. 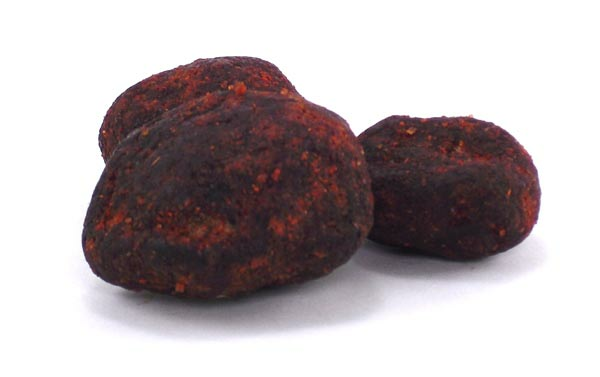 They are very similar to the salted plums and are coated with delicious mouthwatering chile. Its a sweet treat that will leave you craving for more. Its tangy taste will drive your taste buds wild, its a spicy party in your mouth. Los Saladitos con chile en polvo de Que Rico son Chabacanos mexicanos cubiertos con delicioso chile. Tambien son conocidos como "chamois" o "saladitos". Los saladitos de chabacano son muy similares a los saladitos de ciruelas, estas golosinas dulces te dejara con antojo de mas. Su sabor picoso y dulce son una fiesta de sabor para tu lengua. These have a great little kick to them. Will get these again for sure! Very very good, could eat these all day!